Are you planning to start running a catering business? You will be in need of a plan, specifically a business plan, to help and guide you in every stage of development of this business venture. 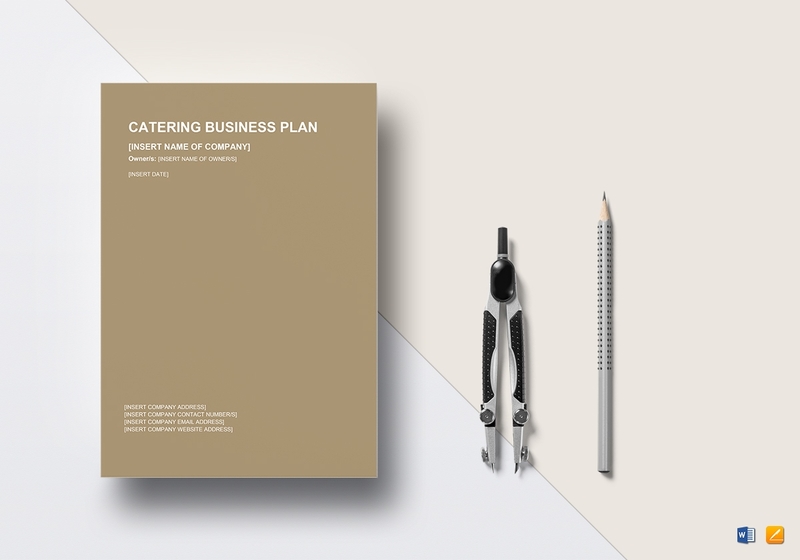 In this article, we have provided business plan templates and examples as well as some simple steps that can definitely assist you as you start to begin your catering business journey. Planning to start a catering business? Below are really simple steps that can guide you as you make one. 1. Describe your catering services. 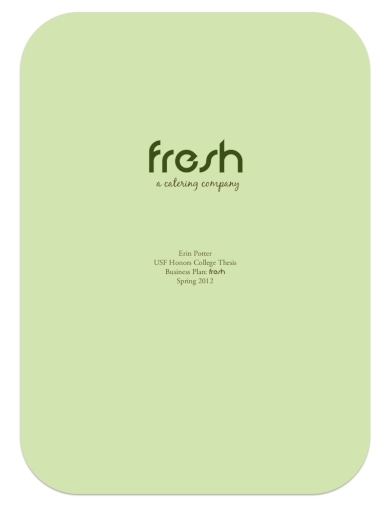 In the first section of your business plan, you must first describe your catering services. This also includes describing the types of food that you want to serve to your prospective clients. Also ensure to indicate if you will provide tables, chairs, and other items that are usually needed for a catering event or if you will just outsource this work. 2. Indicate the amount of kitchen space you need. In the second section of your business plan, you have to determine and indicate the amount of kitchen space that you will be needing for your catering business. In order to do so, you must also determine beforehand your needs and your budget. You can lease a commercial space, rent space in an already established restaurant, or simply work from your home kitchen. 3. Know the kitchen equipment to operate your business. After listing down the amount of space that you need. You must also consider the list of equipment that will help you effectively and successfully operate your catering business. To estimate the possible costs for such equipment, you may check out restaurant supply stores, online vendors, or cooking stores before even buying anything. 4. Determine and list all the permits you need to secure. In the third section of your business plan, you must be able to already identify all of the permits that you need to secure in order to start legally operating a catering business. Check out your local laws to know the specific requirements you need to get in order to get a permit. 5. Create a marketing strategy for your business. In the last section of your business plan, indicate your marketing strategy. This is where you will list down all of your plans on how you can meet potential clients such as catering for both public and private events, hand out promotional or marketing items, or contact and meet local event planners. Starting a catering business is not for the faint of heart. This is because catering is also considered as a hard business. You might say otherwise because of what you see on television; however; what you see on the television screen is only the glamorized side of this industry. If you finally get into this industry, you will realize that it would really take a lot of hard work and determination in order to be successful in the catering industry. 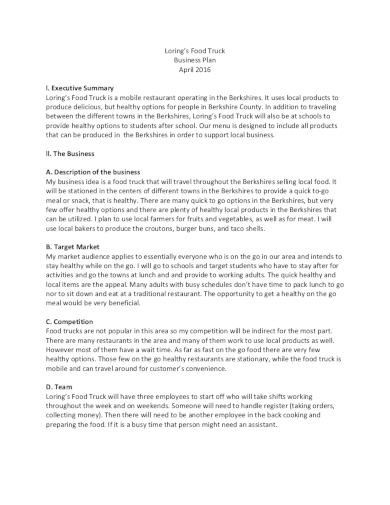 Here is a catering business plan template that will hopefully be an effective tool that will serve as your blueprint for success. Your business plan mirrors you. It will reveal your level of seriousness, your desire to start such a venture, and your plans and goals that you want to achieve. But if you will fail to create an effective business plan, you also fail to sell your idea to potential investors. With the right guidance such as this business plan example provided above, you will be able to make sure that your business plan will mirror you to a great extent. There are a lot of things that you need to deal with and consider when it comes to starting a catering business. You are not only bound to think of your catering menu but you will also have to deal the business side of it which includes the financial and marketing aspects and, before anything else, the making of a business plan. 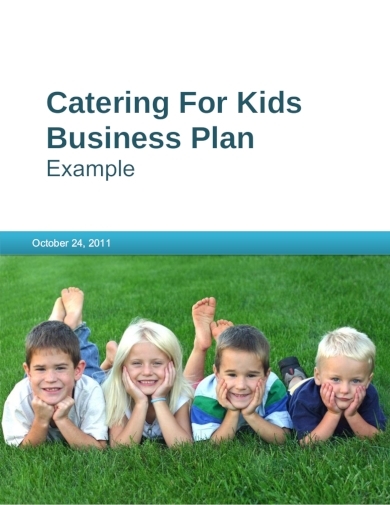 Without a business plan, you can never set up a successful catering business. Here is an example of a business plan that you can get inspiration from when you will finally be making a business plan of your own. When starting a business, expect that you will have a lot of things that you need to consider, but with a thoroughly made business plan, you will stay on track, keep focused, and reduce or even diminish stress altogether. 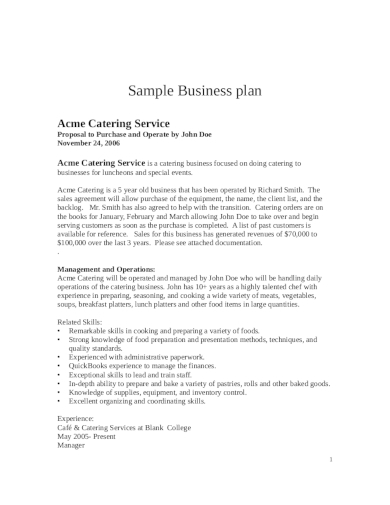 Check out this business plan example that will help you in coming up with a plan that will benefit you in whatever type of catering services you are planning to give. Creating a business plan for the catering business you are planning to run is not as simple as sitting down behind your laptop to write one. You actually have to do extensive research regarding the industry you are planning to get into. 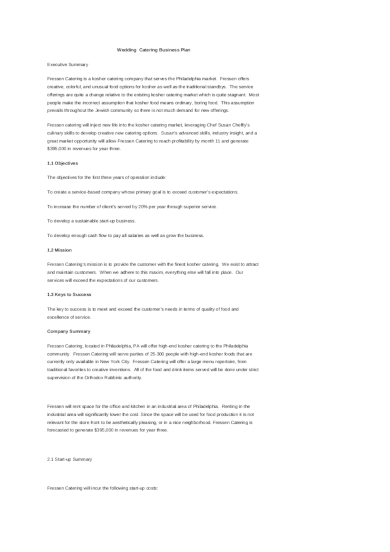 Consider downloading and reading the catering service business plan example that is provided above to see how much it contains and is based on your research. Under a limited budget? You can reduce all the possible costs you will incur as you attempt to build and run a catering business by making and writing the business plan yourself. 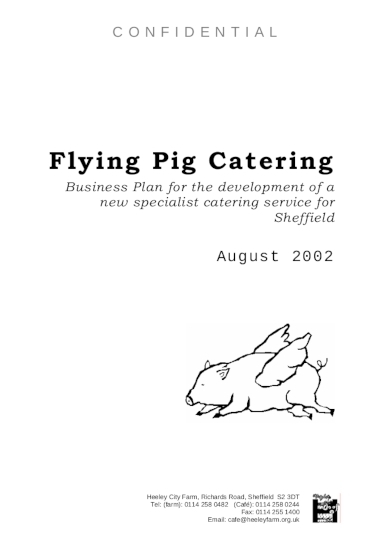 You can make use of a template and refer to a reliable business plan example that will assist you in making your own catering business plan. Catering is and never was an easy business to get into that if ever you are trying to get into this industry, you must already know what demanding nature of work you are getting yourself into. 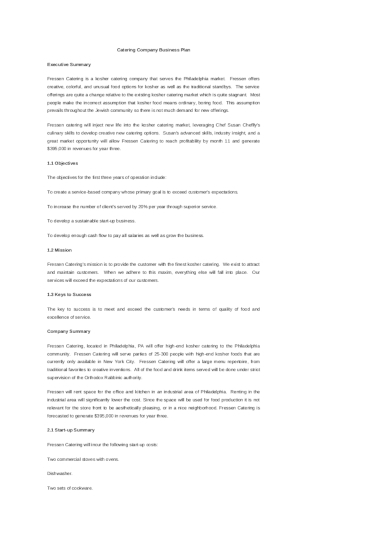 And even after knowing that and you still want to start running a catering business, then here is a catering business plan that can help you get into this industry as smoothly as possible. Make sure that you will be able to come up with a detailed business plan especially if you want to get into the business of mobile catering. You may use the example above in order for you to have a concrete basis that will guide you in making one. This business plan already contains relevant examples on what you should place under the basic major contents of a business plan, namely the executive summary, the company summary, specific catering services, and the market analysis summary. 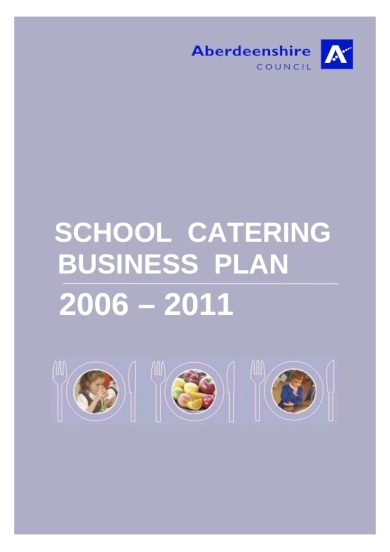 If you are planning to start a school catering business, consider getting ideas from this school catering business plan example provided above. Through this template, you will be able to come up with a template that is just perfect for the creation of a business plan framework. This will also give you the general information applicable to the kind of catering service that you will be providing and this will also offer proper guidance in terms of making appropriate business plan content, layout, organization, design, and overall structure. Are you planning to cater for happy events like weddings? Here is a business plan that can help you with that. Even if weddings are considered as a happy event, providing services to one can actually get stressful with all the things that you need to consider such as getting the actual final number of the guests who will be attending. 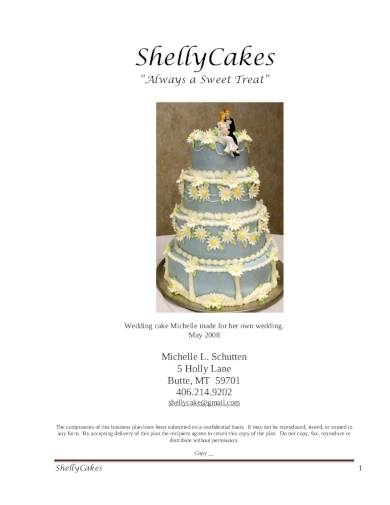 This wedding catering business plan assures you that you will be providing excellent catering services to your clients.